Il team Dota 2 dell'APD Millennio, capitanato da Tyler (in foto), parteciperà al torneo "The Shanghai Major", il primo di una lunga serie, almeno si spera:- Facciamo gli auguri ai componenti del team! L'APD Millennio sta individuando nuove vette da scalare e nuovi sentieri da percorrere per chi ha voglia di sfidare prima se stesso e poi, in squadra, gli altri con spirito sportivo e di gruppo come avviene per gli altri settori della nostra polisportiva ( Badminton, calcio a 5 .... ). A breve attiveremo una sala lan adiacente al nostro circolo scacchistico per condurre, con cadenza settimanale l'attività di allenamento per " fare squadra" anche al di la di quello che sono le attività online. 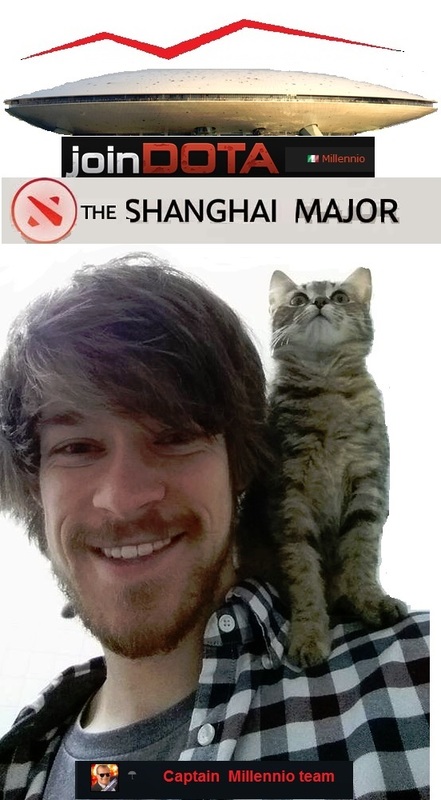 APD Millennio's team, captained by Tyler (in the picture), will join "The Shanghai Major", the first of a long series, hopefully: let's wish the best for the members of the team! APD Millennio is seeking new peaks to climb and new paths to walk through for them who want to challange themselves first and then others in team, with sport mind as it happens for other sectors of our sports complex (Badminton, five-a-side football -futsal etc.). We will shortly activate a LAN-room next to our chess club to conduct weekly a coaching activity to meet phisically and know better each others.